Suspend what you think you know about the killing of Muhammad al-Dura, and step into Nahum Shahaf’s Ramat Gan apartment. There’s a certificate on the wall: The Ministry of Science’s 1997 prize given to him for his work developing a system for compressing video footage into small, storable bytes. Farther along: a “see-through” wall of mirrors, a bullet-ridden piece of metal and a smattering of clippings, folders and photocopied pages. Shahaf is 67. As a physicist, he helped develop CT technology while working for the innovative company Elscint. He was a leader in developing the second generation of Israel’s unmanned aircraft. He was at the forefront of a military intelligence unit dealing with optic intelligence. In 1989, working with Israel Aircraft Industries, he helped develop “smart missiles” for Israeli attack helicopters. He developed a system that enables unmanned aircraft to assist in delivering accurate artillery strikes. 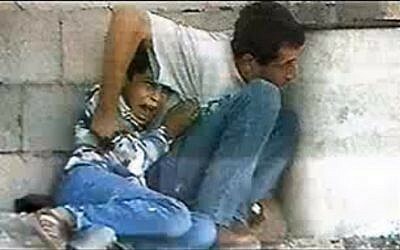 And, during the fall of 2000, he launched a crucial investigation into the iconic and excruciating footage of 14-year-old Gazan Muhammad al-Dura’s apparent death — a saga that continues till today. But be fair warned, there is a road bike at the entrance to Shahaf’s apartment, and if you indulge him, he will talk about bikes for as long as you like: front and rear suspension, off-road and on. I came to Nahum Shahaf’s home on Wednesday because it was here that the boy’s death was first called into question, and this day, April 3, 2013, was supposed to be another milestone on the still-spiraling tale. “This is Shahaf,” he said into his cellphone during my visit. On the other end of the line was Yossi Kuperwasser, the director general of the Ministry of Strategic Affairs. “Have you heard anything?” Shahaf asked. A French Court of Appeals was to deliver a ruling on a defamation case revolving around Shahaf’s investigation of the events of September 30, 2000. Kuperwasser had no news; in fact, the court on Wednesday postponed a verdict in the case to May 22. 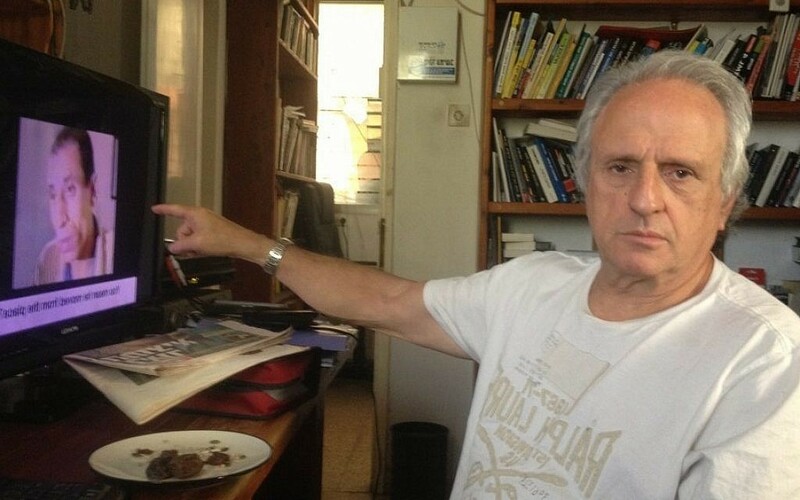 But Shahaf is understandably pleased nonetheless that the prime minister has made Kuperwasser, formerly the head of research for the IDF’s military intelligence directorate, the accessible point man for all matters al-Dura. For a long time, after all, no one was interested in hearing what he had to say. The footage itself is brutal: a child unceremoniously killed in his father’s arms. The father, Jamal, waves frantically at the soldiers to stop shooting. He does everything physically possible to shield his son. But at the end of the clip, the boy, Muhammad, is gunned down and lifeless across his father’s knees. President Bill Clinton wrote in his memoir that he was moved by the image. Osama bin Laden vowed never to forget the sight of the dead boy. Daniel Pearl’s killers included a picture of al-Dura on the video footage of the Wall Street Journal reporter’s murder. Right away, Shahaf left a message for Maj. Gen Yom-Tov Samia, the head of the Southern Command. He introduced himself as a physicist with a background in intelligence and asked that the general keep the scene of the shooting intact and that they speak about launching an investigation into the shooting. In mid-October Shahaf met Samia and the two agreed to launch an investigation. Within weeks, Shahaf and other members of the investigative team determined that the general’s “estimation” was physically unfeasible. First, the angles were wrong. The Israeli position, at roughly 45 degrees to the concrete barrel, had no line of fire except through the barrel, and the barrel itself, on the original footage, was hit several times during the course of the day but never once penetrated. As a former ballistics instructor at Bar Ilan University, he concluded “100 percent” that no one from the IDF position had shot father or son. Going much farther, he also concluded, with a “99 percent degree of certainty,” that the child shown in the footage was not killed on that September day. 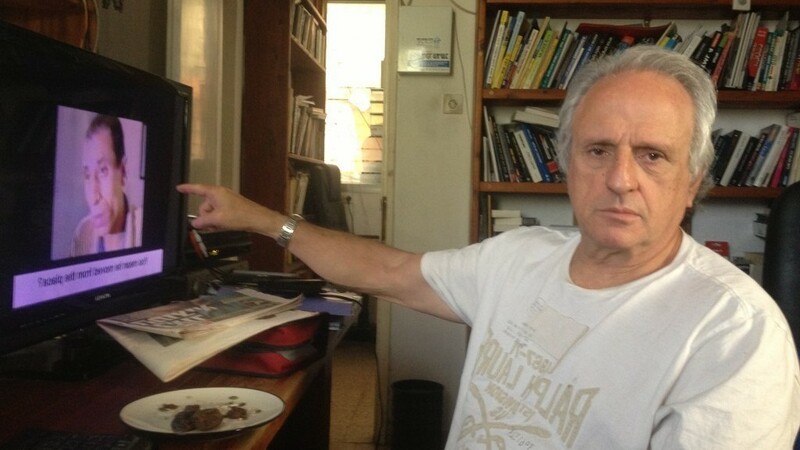 Few took Shahaf’s claims on the al-Dura case seriously until 2003, when James Fallows of The Atlantic interviewed him in his Ramat Gan apartment about it. “He came for a few hours and stayed for two whole days,” Shahaf said. Fallows’ report, based heavily on Shahaf’s investigation, led to a February 2005 American Academy of Forensic Sciences invitation to write and present a paper, along with an award from Israel’s Media Watch and, presumably, to Philippe Karsenty’s decision to publicly call on French 2 Jerusalem bureau chief Charles Enderlin and his boss at France 2, news production chief Arlette Chabot, to resign.